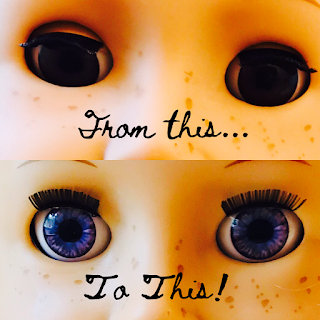 I'm so happy to announce my new line of custom designed doll eyes for American Girl and similar dolls! I worked for months to manufacture these with my customers' needs in mind. 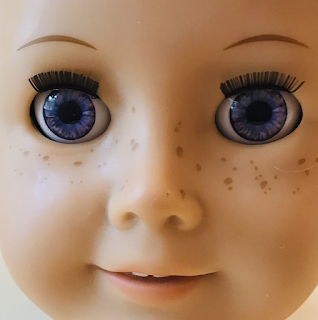 The result is a perfectly-fitting moving sleep eye which makes it easier to repair or customize your doll. Learn how to swap out your doll's eyes step by step with my tutorial: https://www.ateliermandaline.com/updates/eye-swapping-101-a-tutorial. I believe these eyes are even better than the originals, as they should be, since I spent nearly a year working with the manufacturer to perfect them. 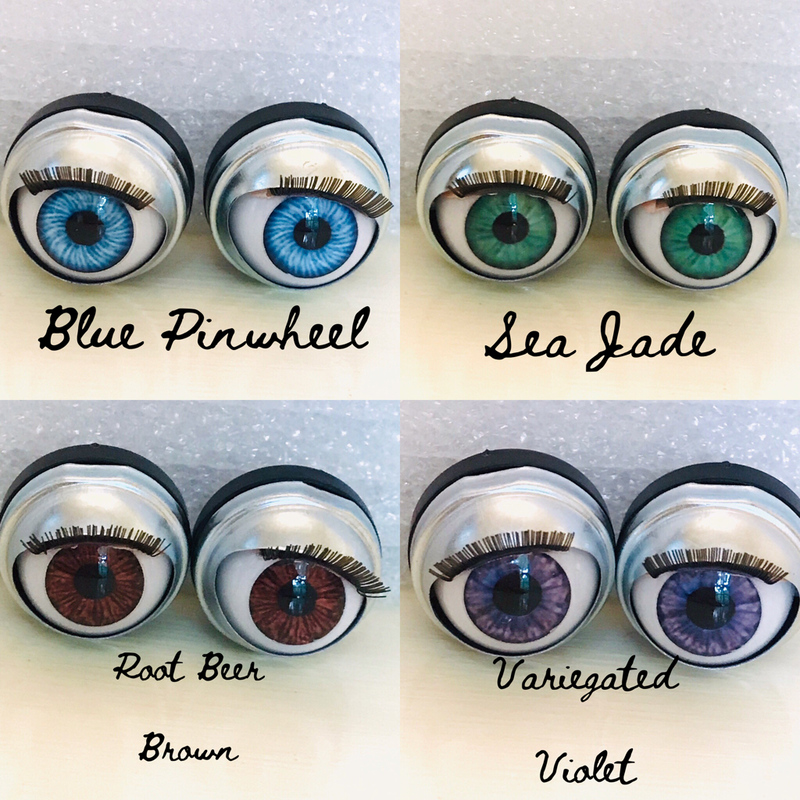 So far, Atelier Mandaline eyes are available in my four most popular colors: purple, green, blue, and brown. 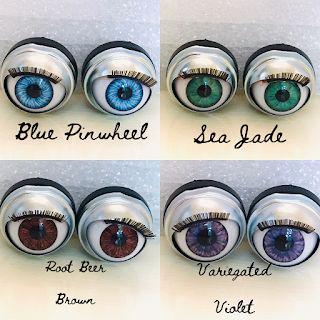 You can order custom-painted eyes from my Etsy shop as well. My goal is to expand my selection of colors and sizes eventually. Purchase Atelier Mandaline eyes from my eBay and Etsy shops. You can link to all my shops from my website. Please consider helping those in the Eastern part of our state in any way you can; many have been devastated and it will only get worse when all this rain falling up here in the foothills flows back down to the coast. I will most likely be doing a fundraiser in the near future; please stay tuned for that. In the meantime, to make up for the inconvenience and loss of income from nearly a week's closure, I am running a sale on eBay and Etsy. 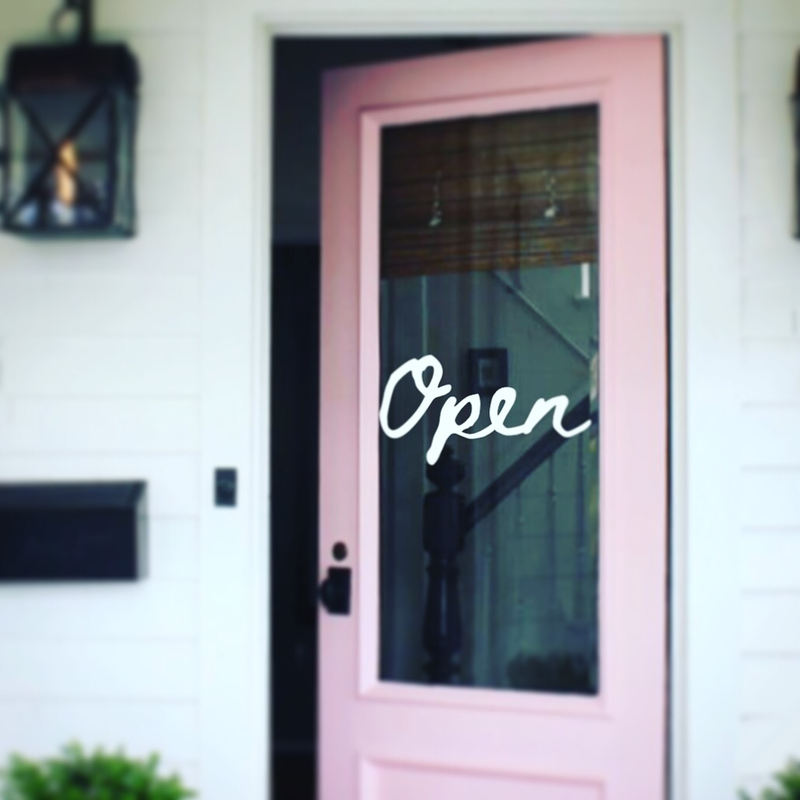 You can link to all my shops from the Home page of my website. 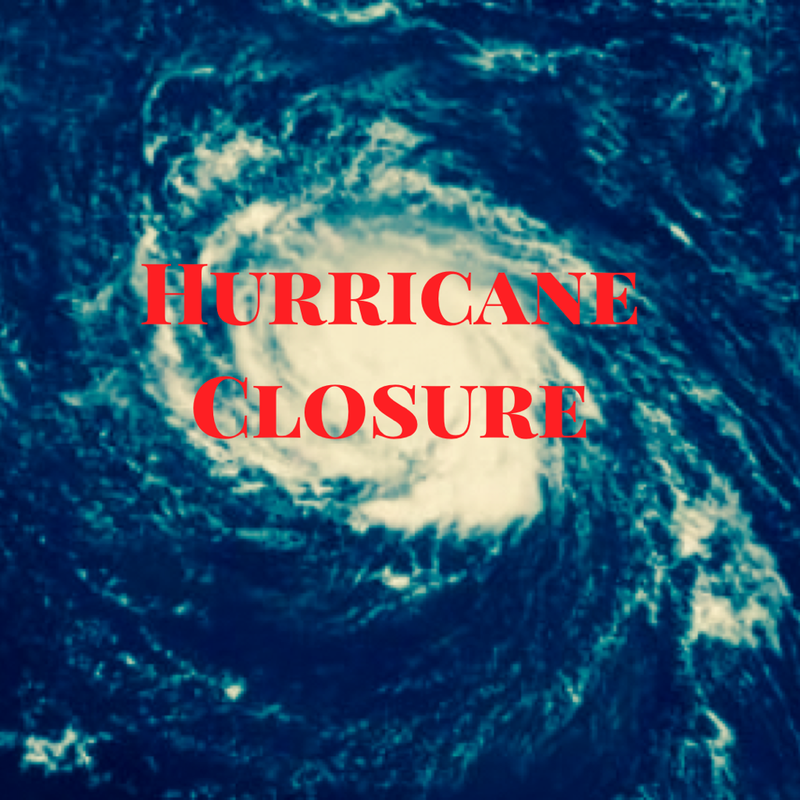 Days and days of Hurricane Florence-forced inactivity has me stir crazy. Today I worked some of it out experimenting in the kitchen, trying to perfect a Keto dinner roll recipe. 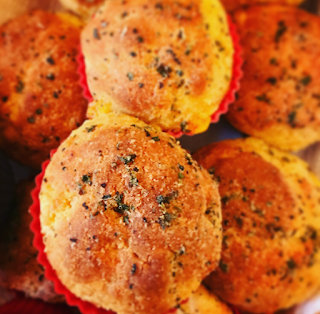 The result is more like a biscuit than a roll, but it's still delicious! You can find the recipe on my website. I hope you enjoy!